Schaeffler reinforces its message of fitting a like-for-like DMF replacement to help prevent voiding the vehicle warranty and to avoid follow-on problems. 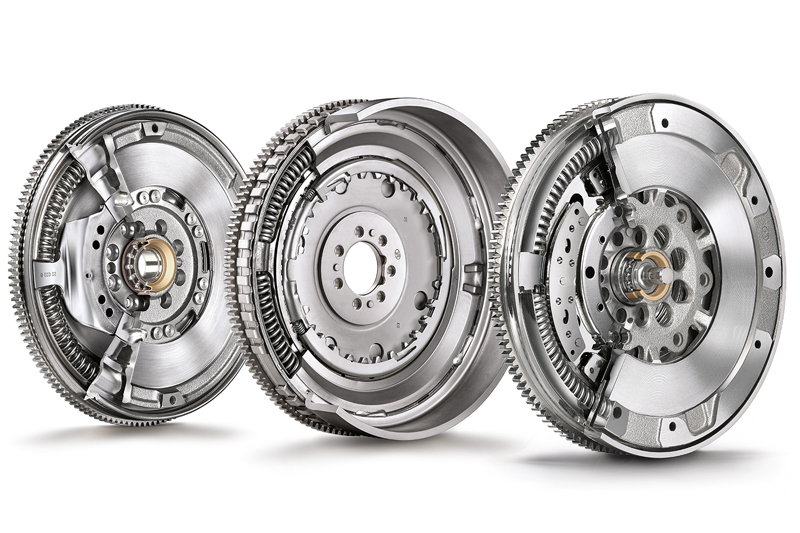 Schaeffler has renewed its warning to technicians about the hazards of replacing an original dual mass flywheel (DMF) with a solid flywheel kit, with such a replacement likely to cause motorists expensive follow-on repairs if it fails, as the vehicle manufacturer (VM) will void the warranty. Every second new passenger and light commercial vehicle is originally fitted with a DMF. Over 85 million European cars have one as original equipment (OE), and it remains the go-to solution in most passenger cars with diesel and high-powered petrol engines. Just like a clutch, a DMF is subjected to normal wear and will need to be replaced at some stage of the vehicle’s service life. Schaeffler offers a genuine, complete OE clutch system replacement solution with the LuK RepSet DMF, as well as supplying individual LuK DMF units that can be matched to the relevant LuK RepSet Pro. The DMF performs a critical safeguarding function by removing torsional vibration from the crankshaft to protect the transmission and deliver a smooth, comfortable drive. A solid flywheel is not produced to the same exacting VM engineering specifications, so could cause vibration-related damage to the drivetrain. Replacing a DMF like-for-like is the only guaranteed choice to maintain the comfort, economy and performance levels intended by the VM; however, Schaeffler’s REPXPERTs are concerned that DMF-equipped transmissions are being converted to a solid flywheel, using kits sold by some aftermarket suppliers. Technical Services Manager, Alistair Mason, said this was an “ongoing and worrying trend”, before adding: “These alternatives do not meet VM specifications – DMFs do, which is why they are fitted in the first place. “Converting the system, while deemed a cheaper ‘solution’, can lead to increased emissions and fuel consumption, excessive noise and harshness, heavier pedal feel (because the genuine self-adjusting clutch has been removed), premature clutch failure (as the clamp load has been reduced), as well as potential release system and major component failure. “The DMF is designed in such a way as to enable up to 100° vibration damping – we actually have three in the range that go up to 186° – as opposed to the 29° from the ‘long travel’ damper used in the conversion kits. It is also worth noting that conversions away from the OE specification also mean that replacement part identification cannot be done until the old clutch has been removed.